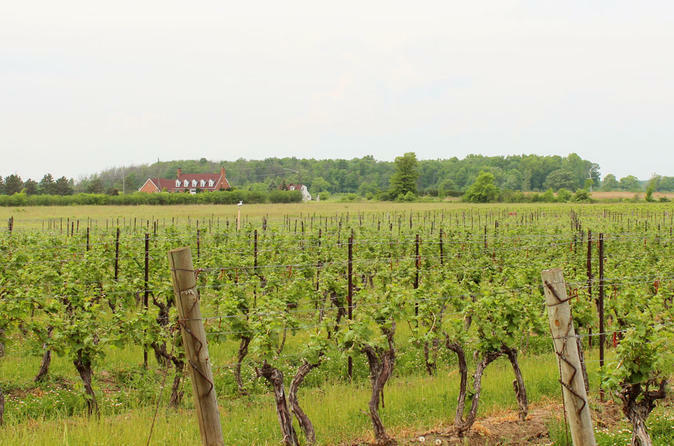 Taste the wines of the Niagara Region on a private tour of wineries located along the picturesque shore of Lake Ontario. A certified wine connoisseur introduces you to local winemakers and vineyard personnel while you pair wine and cheese. You’re served lunch in the charming town of Niagara-on-the-Lake, with the option to upgrade for a boat ride at Niagara Falls. After pickup from your accommodation in Toronto by private vehicle, you're driven to the Niagara Region for a day of wine and food. Visit two or three wineries, depending on the option selected at booking, including an ample cross-section of local vineyards. A winery tour and tasting with charcuterie or cheese pairing is provided at each establishment. Your certified guide provides information about the climate and geology of the region, shares trends in winemaking, and describes the wines you'll taste. Stop for lunch in Niagara-on-the-Lake, a town with one of oldest main streets in Southern Ontario. Have time for strolling and browsing the boutique shops and cafés and take in the quaint architecture of this charming town. If you’d like, upgrade your full-day tour with a boat ride at Niagara Falls before return transport to your accommodation in Toronto.